The works of this series deal with the exploration of the representability of imperceptible signals and data streams that have become omnipresent in our culture. Electromagnetic field sensors were used to detect magnetic fields and interferences that were induced by various components of the hard disk drives that were provided by Andreas and Linda at the ‘Behind the smart world’-Workshop in Linz. 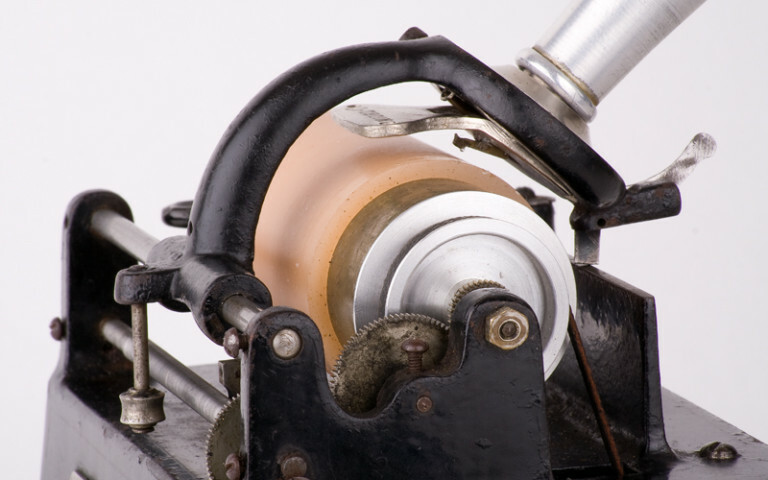 By using an old Edison phonograph the sonified electromagnetic fields were transcribed onto the surface of a wax cylinder. The use of wax as a data/sound carrier leads to the permanent transformation and structural change of the recorded data. Leaving the transcribed information in a transformable and highly indeterminable state. Recorded 2016, in collaboration with Simon Chritstoph Krenn.